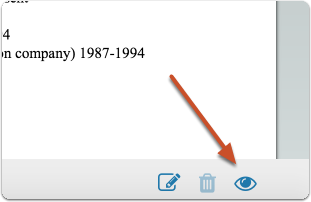 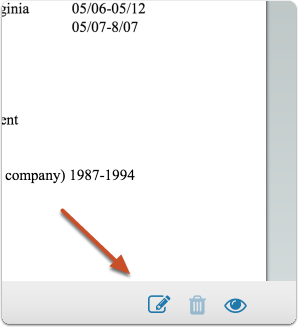 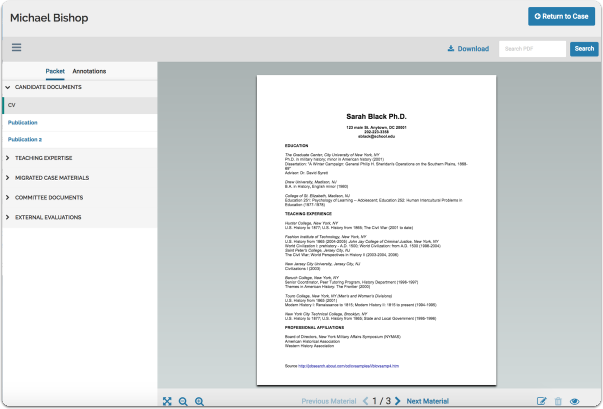 Reviewers can add annotations to materials in a candidate’s file and export those annotations in a PDF file for offline access. 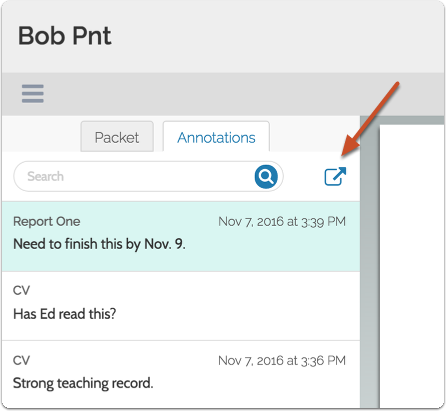 This makes it easy to highlight the most important parts of a packet and track and revisit thoughts when evaluating materials. 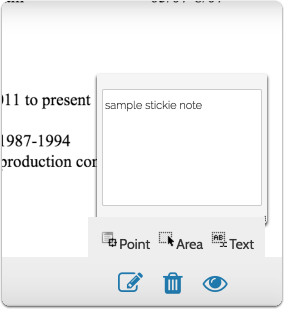 Annotations are private notes and are only visible to the reviewer who adds them. 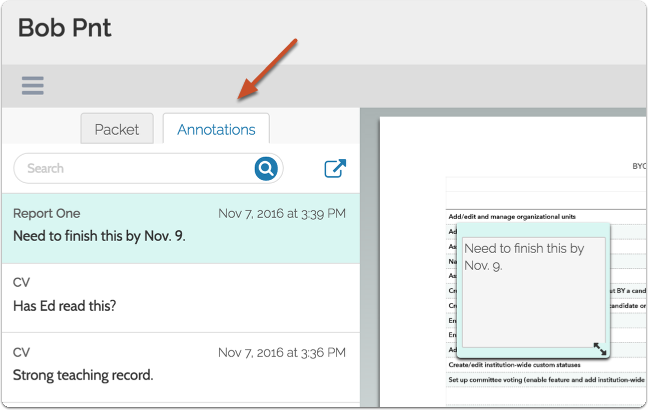 However, much like paper notes, annotations may be "discoverable" as evidence in certain legal proceedings. 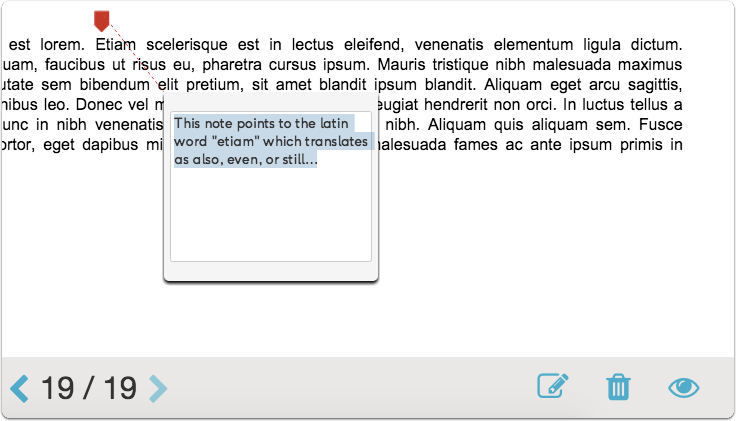 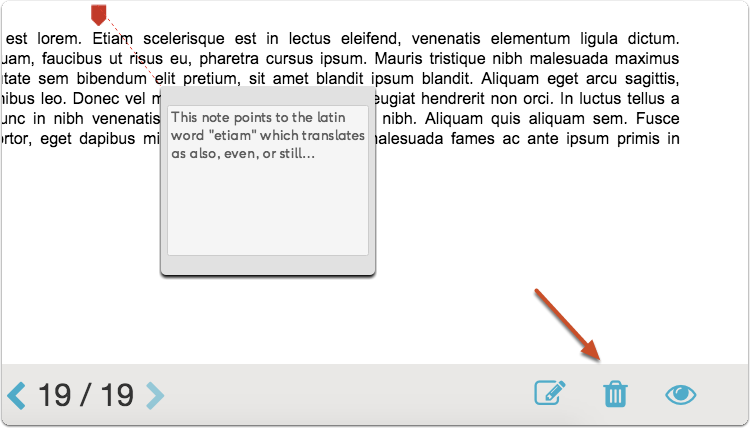 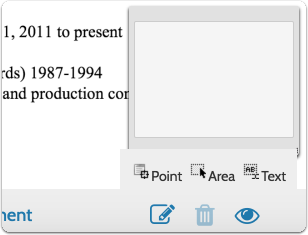 Select "Point," and add a note with an arrow in the document. 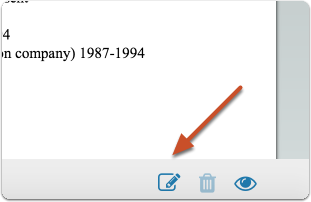 You can drag and drop to change the location of the arrow or note.